Russell tells in his 1903 “The principles of mathematics” (POM p 101) that he “was led to it [his paradox] in the endeavor to reconcile Cantor’s proof that there can be no greatest cardinal number with the very plausible supposition that the class of all terms … has necessarily the greatest possible number of members”. 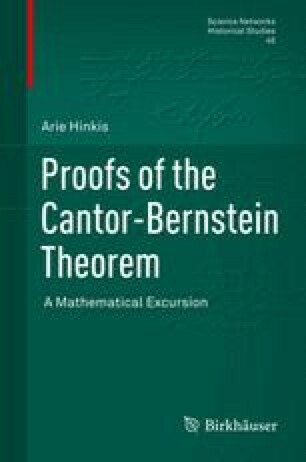 Cantor’s proof mentioned here is the proof of Cantor’s Theorem (1892) which, Russell says (p 362), “is found to state that, if u be a class, the number of classes contained in u is greater than the number of terms of u”. The class of all terms thus appeared to Russell as a refutation to Cantor’s Theorem. Russell’s Paradox was thus obtained within a Lakatosian proof-analysis. Peckhaus V. Pro and Contra Hilbert: Zermelo’s set theory, Lecture notes: http://www.uni-paderborn.de/en/fakultaeten/kw/institute-einrichtungen/institut-fuer-humanwissenschaften/philosophie/personal/peckhaus/texte-zum-download/.